Going out for an extraordinary adventure most often means stepping out of your comfort zone, but not with Manyane Resort in Pilanesberg, South Africa. A haven within the borders of Pilanesberg National Park, the resort embraces you and your party in a world of essential comforts that highlight the landscapes of your great escape. 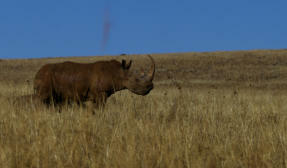 Cherish South Africa's wildlife safaris and take a drive amidst its numerous outdoor diversions. When it's time to retreat to a relaxing and convenient space, you will find that Manyane is here to answer your most importantl needs. Chalets have a bathroom, air-conditioning and a private patio and braai area. 4 Bed chalets - 1 Bedroom with a double bed and two single beds in the loft, kitchen, and bathroom with shower cubicle. Open plan kitchen. Step Out Towards the Great South African Outdoors. Ten minutes away is the exciting Sun City. Manyane is situated about 1,5 hours drive from Johannesburg on a modern freeway.